JTYH is a small place in a minimall with plenty of parking. 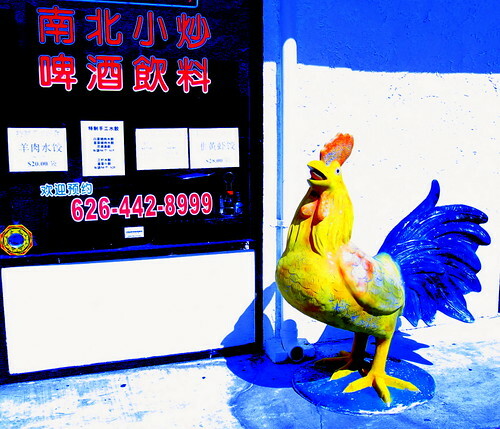 Its large ceramic chicken looks to have flown the coop from Sea Harbour down the street. But the menu is much broader than most noodle joints, so it could work for full dinners as well. There are entire sections devoted to soup noodles, fried noodles, dry noodles, pancakes, dumplings and buns. There's also a Chinese-only "snack" box. 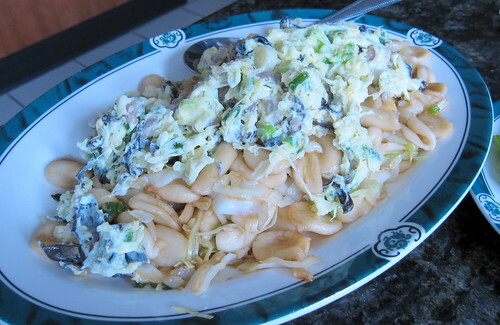 Sinosoul says it features Chicken noodle pimples, which sound akin to spaetzle. Appetizers include spicy chicken paws (feet, I would guess) and the usual cold seaweed, dried fish and cucumber dishes. 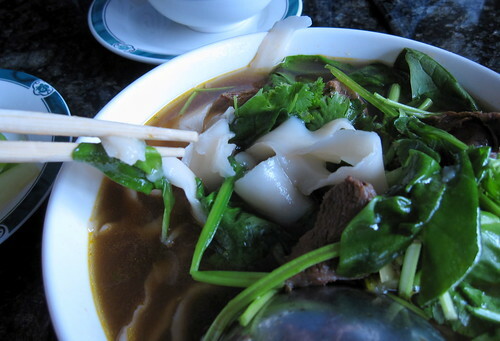 Everyone seems to get either the Beef stewed noodle soup or the Lamb noodle soup. We chose the beef, with tender brisket, a decent broth and oddly-shaped, beveled handmade noodles with a great rustic texture. I had to try Mooshu "Cat Ears" -- there's no pancakes involved, just the Chinese version of orrechiete noodles topped with scrambled egg and pork. 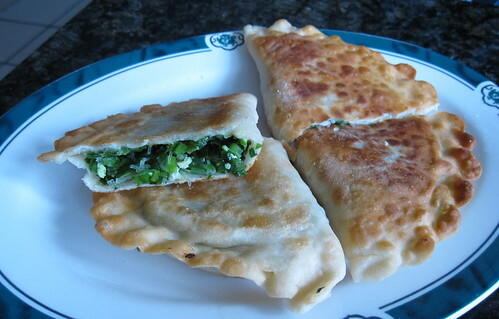 A very comforting dish that would be great for breakfast. When I ordered leek dumplings, the waitress made a swooping motion with her hands that I took to mean "These aren't your normal dumplings, they are large like a plate." And that's exactly what they were, more like a pie stuffed with chopped leeks and bean thread noodles. Very cool, if not exactly dumpling-like. Mix up some chili sauce and black vinegar to dip them in, if you wish. FWIW, leek "pockets" are also available at Tastio/DSW, in case you want to compare. Mentioned JTYH to Josh @ blogger prom, was like: dude, this is the BOMB. Hope it was good for you as it was good for us. Tuesdays are generally the slowest days for restaurants in terms of traffic and table turnover. That's why many Chinese restaurants are closed on Tuesdays. My parents love noodles and dumplings. They found this restaurant before I did, and can't stop talking about how good it is. They are taking me there for lunch today. So I'm reading your post to decide what to order today. haha.... Can't wait!